The Accreditation Council for Occupational Therapy Education released an unexpected set of decisions last week. In sum, the two decisions promote the concept of dual entry levels for OTA education and dual entry levels for OT education. The OTA dual entry (associates and baccalaureate) is an entirely new concept while the OT dual entry (masters and doctoral) follows a year-long debate on whether or not the profession should adopt the doctoral level as a single point of entry. The reason why each of these decisions was surprising is because they contradicted the publicized opinions of the American Occupational Therapy Association, the member group for the profession. As such the 'problem' with the decisions doesn't rest with ACOTE alone, but rather represents a community of professionals that are at odds with themselves and unsure of how to move toward the future. 3. Articulate strategies to succeed if the association ever decides to transition to a higher degree level for OTAs. The reports states that "While there may be some benefits to the two entry-level-degree model, they do not outweigh the inconsistencies created when there are two different degree levels qualifying graduates for a single set of entry-level competencies." "AOTA adopt a mandate that entry-level-degree for practice as an occupational therapist be a doctorate by 2017 with a requirement for all academic programs transition to the doctorate by 2020." Flexibility is certainly achieved by having dual entry points but also shows a profession that lacks leadership, direction, and ability to make definitive decisions and move toward a consensus. In the parallel example of multiple entry points for the nursing profession, Smith (2009) states, "The requirements for entry into and completion of these programs vary by state and are controlled by forces within each state’s higher education system and healthcare-related interest groups, and the nursing profession itself." This is what will also occur within the occupational therapy profession and is already on display in New York State. A group of academicians, supported explicitly by the State OT board and tacitly by the State member association, is laying the groundwork for an eventual doctoral level entry point. See here for details. Not every state has interest groups that will powerfully drive the issue toward a conclusion. There is a severe maldistribution of occupational therapy educational programs in the United States. States with few or no programs and weaker State Associations might be among the last to promote a voluntary doctoral level entry point. This will cause compounding problems with lack of consistency. Smith (2009) lists several factors that likely contributed to the nursing profession's inability to agree on escalating degree requirements. Use of a 'top down' decision making strategy was a major impediment that turned many nurses off of the idea of escalating entry level. Also, the use of 'policy entrepreneurs' who were knowledgeable and well connected backfired on nurses because those people were not viewed as 'one of us' by the average nurse who would be impacted by the decision. These same factors came into play for occupational therapy. Several actions are recommended in order to move the occupational therapy community to a consensus decision point. 1. Recognize that "flexibility" is a euphemism for indecision and confusion. Study the nursing profession example to understand what "flexibility" has accomplished and not accomplished. 2. Place an accreditation moratorium on development of ALL entry level doctoral OT programs and baccalaureate level OTA programs. 3. Outline a process that will encourage a critical analysis of accreditation standards and align their minimal purpose with meeting evidence-based entry level occupational therapy practice competencies. 4. Develop profession-wide consensus on essential educational components based on practice analysis of entry level and advanced level skill sets through research. 5. Listen to and address the relevant concerns of the entire constituency that is impacted by such a decision: academia, clinicians, employers, the public, and other stakeholders. Most importantly, don't drive this from a top-down perspective. 6. Develop final consensus based on a comprehensive consideration of ALL THE ABOVE. 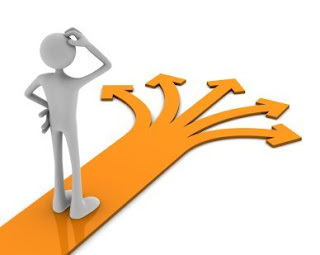 The current recommendation to promote dual entry levels will allow a condition of indecision to persist. From a vacuum of indecision we can expect more special interest meddling from within different States. We can expect a lack of uniformity that can complicate if not jeopardize third party reimbursements. We can expect continued maldistribution of personnel. We can expect uneven practice competency. The occupational therapy profession is about to celebrate its Centennial Anniversary. Confused and indecisive entry level education standards are not the way to put a best foot forward into a new century. Smith, T., (October 5, 2009) "A Policy Perspective on the Entry into Practice Issue" OJIN: The Online Journal of Issues in Nursing Vol. 15 No. 1.